Rajpoot's explosive spell of 5-14 against Sunrisers Hyderabad ended up being the best bowling performance of the 2018 IPL. Sometimes cricket can be a cruel game when performances don't necessarily equate to results, with teams taking the trophy despite being second best on the night. Also, as a neutral patron of the game, one's heart goes out to the player of the losing team who performed so admirably but unfortunately ended up at the wrong end of the result. 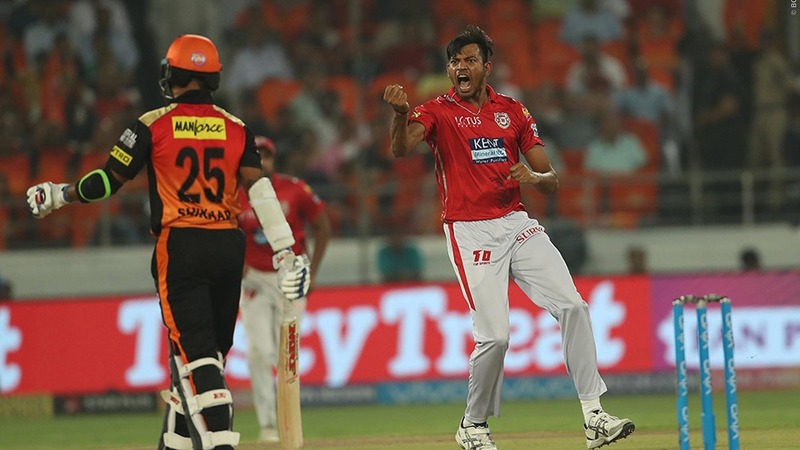 Such was the case for pacer Ankit Rajpoot when Kings XI Punjab travelled to play Sunrisers Hyderabad in the 2018 VIVO Indian Premier League. After winning the toss, KXIP captain Ravichandran Ashwin put the home team to bat. His decision almost immediately paid dividends with relative newcomer Ankit Rajpoot wreaking havoc. He dismissed captain Kane Williamson for a duck in the very first over of the game. In his subsequent over, he picked up the other Sunrisers opener Shikhar Dhawan for just eight runs. In the fifth over, Wriddhiman Saha miscued a slower one to mid-wicket, gifting Rajpoot his third wicket of the game. The 25-year-old ended the powerplay overs for KXIP with three overs for merely nine runs. "Rajpoot has been outstanding, we asked him to start well and he took three very crucial wickets," revealed fellow pacer Andrew Tye. "He always puts in 100 percent." Hyderabad helped rebuild the innings through Manish Pandey and Shakib Al Hasan, stitching a crucial partnership. Although Hasan was dismissed for 28, Yusuf Pathan carried off from where he left off until Rajpoot for reintroduced into the attack to bowl the final over of the game. The lanky pacer from Uttar Pradesh gave away only five runs in that final over, picking up the wickets of Manish Pandey and Mohammad Nabi to end the day with figures of 5-14. Rajpoot ultimately ended up having the best figures of the 2018 IPL and boasts the sixth best bowling figures in the league since its inception in 2008. In reply, KXIP got off to a good start with Lokesh Rahul and Chris Gayle getting a fifty plus partnership but struggled to get another partnership going after the dismissal of the Universe Boss. Rahul played valiantly for his 32; but lacked support for the rest of his compatriots as Kings XI Punjab ultimately fell short by 12 runs in this nail-biting clash at the Rajiv Gandhi International Stadium in Hyderabad. Despite ending on the losing side, it was Rajpoot was adjudged as the Man of the Match for his magnificent fifer, delivering a pace bowling masterclass that has only been bettered by Ishant Sharma in terms of figures when it comes to the Indian Premier league. "I was getting help from wicket and I was bowling it full," Rajpoot explained. "I planned and stuck to it. I was aided by the pace that I found. It was my day today so I got five wickets."